Responsible for creation of models of internal and external systems to extract insights to inform business decisions for both company and its customers. Help define the data model and capture algorithm to ensure the ease of downstream analysis. Your role will be multi-faceted. In addition to model development, you will take an active role in making assessments and recommendations on current and future technology, and helping to set the Platform architecture vision and roadmap. Oversee the design, development, deployment and management of batch and real-time fraud and credit models/rules for both new and tenured customers, and to combat credit card fraud, bank account fraud, identity theft fraud, spoof fraud etc. Interprets problems and provide solutions to business problems using data analysis, data mining, optimization tools, and machine learning techniques and statistics. Building algorithmic models for Product Life Cycle Management , Embedded Analytics , M2M Analytics, Service Intelligence and Product Intelligence. • Manage and enhance existing predictive models including monitoring performance, research and development of enhancements and internal and external documentation. Implement advanced machine learning techniques and statistical and econometric models to pricing, assortment and marketing mix. Provide analytical consulting on best practices and approaches. Interpret, document and present/communicate analytical results to multiple business disciplines, providing conclusions and recommendations based on customer-centric data. Be an internal expert in advanced capabilities. Work closely with client teams to develop methodology and implement analysis and technology that enables more profitable pricing, assortment and marketing/promotion decisions in support of partner customer strategies. Leads and contributes to data analysis and modeling projects from project or prototype design, review business needs deriving requirements and/or deliverables from internal or external clients, reception and processing of data, performing analyses and modeling to final reports or presentations, communication of results and implementation support. Appling your extensive experience in data architecture and management to building big data foundation and the data science infrastructure for video content and viewing behavior analytics. A dedicated data scientist who wants nothing more than to help us sort, analyze and deliver relevant information from terabytes of unstructured data in the social media space. You will build machine learning models to transform social media feeds into actionable items. Develop and implement behavioral and predictive models that drive customer value and achieve strategic business objectives (machine learning, linear & logistic regression, clustering, statistical sampling, A/B testing, and text mining/sentiment analysis). Partner with the internal insights team to analyze clients business needs, select and execute statistical methods and/or business intelligence to achieve the clients objectives. Responsible for understanding business strategy and data analytics to develop predictive and optimization models that will generate actionable insights to impact the business. Work on some of the most complex problems imaginable at the intersection of two dynamic industries – finance and technology. Interact with insanely large and fascinating data currently not available anywhere else. Develop products that can change the way 1000s of clients operate, and how Banking is done today. A big part of your responsibilities will be project-based. You will be responsible for identifying and providing solutions and tooling built on predictive modeling, statistical techniques, etc. Design, develop, and refine TFS (macroeconomic) forecasting models that are fully integrated with Residual Risk and lease portfolio analysis. Use econometric modeling and appropriate statistical techniques to identify factors that correlate with severity and frequency metrics. These factors include used vehicle values and the probability of lease vehicles returning at lease end. Identify, analyze and interpret trends or patterns in complex data sets, including telemetry from storage arrays and other IT infrastructure components such as networks and compute including virtual machines. Understand storage architecture and storage media (HDD/SDD) at a deep level and be able to build accurate models around our IO data path software. providing peer review of analysis and supporting production implementation. Independently executes data analysis and modeling projects from project/sample design, reception and processing of data, performing analyses and modeling to final reports/presentations, communication of results and sales support. Develop an understanding of client’s business problem and business context. Participate in the definition of analytical problems that will address client’s business problems. Participate in the development of business case for solving a problem. Lead a work stream of a project or a small project of 1-2 FTEs on his/her own. Analyze student reading and writing using multiple signals, including assessment and user interaction data. Designs experiments, test hypotheses, and build models. Conducts advanced data analysis and highly complex designs algorithm. Applies advanced statistical and predictive modeling techniques to build, maintain, and improve on multiple real-time decision systems. Leads discovery processes with Institute stakeholders to identify the business requirements and the expected outcome. 1.1. Requirements: Forms strong relationships with all parts of the team: marketing, electrical, controls, power electronics, power systems, electronic, firmware, mechanical, service, compliance, quality, reliability and manufacturing. Works with the stakeholders to understand technical requirement and how the relate to business drivers. Creates and maintains functional requirement documentation and traceability between software functional requirements and “top level” system requirements. As a member of the technical staff, the Data Scientist will be integral to the leadership and development of Big Data solutions. The dynamic and small team environment is great for an independent and flexible self-starter with strong written and verbal skills. Work within the Machine Learning Team to design, code, train, test, deploy and iterate on large scale machine learning systems. Build delightful products and experiences for millions, while working alongside an excellent, cross-functional team across Engineering, Product and Design. Utilize advanced analytical techniques to solve challenging business problems. Propose and develop results, models and rules engines using statistical, machine learning, Natural Language Processing, Linear Programming, etc. · Ensure data quality throughout all stages of acquisition and processing, including such areas as data sourcing/collection, ground truth generation, normalization, transformation, cross-lingual alignment/mapping, etc. • Build and update option pricing models, volatility surfaces, yield curves, and a variety of other financial models. • Apply machine learning techniques to trade and market data to identify patterns and enhance existing trading strategies. Stay on the front lines of groundbreaking technology. We’re committed to a dynamic, ever-evolving infrastructure and the hard work it takes to keep our reliable network thriving. Help support the growing demands of an interconnected world. 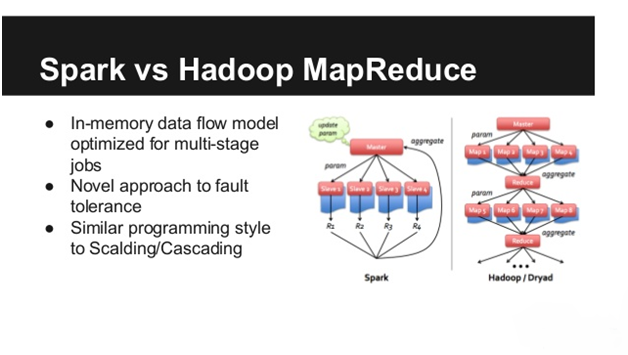 Develop machine learning algorithms, data processing for mining big data. Company Name: Machine Zone, Inc. Leverage large sets of structured and unstructured data to develop tactical and strategic insights. Collaborate with analytic and data teams to set objectives, approaches, and work plans. Research and evaluate new analytical methodologies, approaches, and solutions. Data Scientist Position with background in data science, machine learning and engineering to drive the science and technology for data driven products on eBay Selling pages. - Tinkering with the data to explore and came up with innovative features and improvements to the engineering/development pipeline. You will analyze and evaluate large quantities of data in relational databases and unstructured forms of data, effectively balancing quality, availability and timeliness. 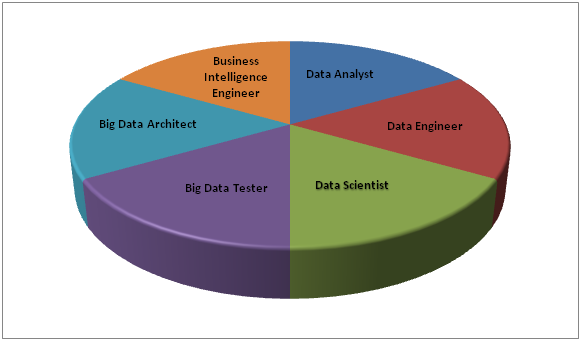 The Data Scientist role will entail gathering and interpreting business needs, architecting and executing production data science solutions, and managing data analysts and data scientists. Design, implement, and deploy scalable algorithms and models that use large amounts of data for deal targeting, optimizing deal selection and merchandizing and improving user experience. Analyze historical data and build forecasting systems to determine future business opportunities and metrics. 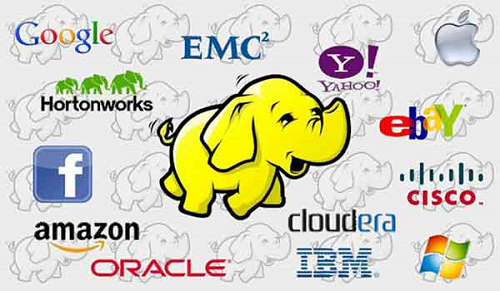 • Work with the software engineers to implement algorithm with cloud computing. Work as part of the data science team to develop cutting edge methodologies in People Analytics. * Be clear experts in a field and be able to drive a research agenda that is well aligned with business needs. * Maintain a current understanding of industry and technology trends in the area of research. * Improve and accelerate technology with science, statistical modeling, algorithm design, and prototyping. Ability to learn multiple programming languages/Database Engines for the purposes of analyzing and using data; not software development. Machine learning tools and techniques (e.g. k-nearest neighbors, random forests, ensemble methods, etc.). Software engineering skills (e.g. distributed computing, algorithms and data structures). As a member of a central organization, help shape and drive the strategy for data capture and import that supports Intuit's rich and diverse portfolio of businesses and enables us to continue to accelerate revenue growth over the next several years. Build predictive models utilizing both traditional statistical methods (Generalized Linear Models, Mixed Effects Models, Ridge, Lasso, etc.) and modern machine learning techniques (Gradient Boosted Trees, Random Forests, Kernel Methods, Deep Learning, etc.). Develop complex statistical models to predict ad-click and install outcomes and learn from petabytes of data. Develop models and explore features and its influence using Spark MLlib and R and present results. Convert these offline analysis to online models. At least 2 years experience in Data Science and Machine Learning with a degree in Computer Science, Mathematics or empirical science. Experience in designing and coding optimization algorithms like Yield Optimization and Supply Chain Optimization. Strong mathematical and statistical background, with thorough understanding of probability. You’ll communicate with internal and external clients to understand business needs and provide analytical solutions. Design and implement highly generalizable models for predicting various outcomes. Taking responsibility for modeling implementation in real world settings to solve real world problems. Work with Product Management, Marketing, and Business Analysis to develop models to support specific business needs. Define and drive standards for tracking to ensure data is appropriately identified, recorded, transformed and furnished for consumption. Identify, develop and implement new tools and technologies to make the data tracking process more efficient. Were hiring Data Scientists to own data mining projects. Projects you will work on involve data exploration and Machine Learning across structured data (e.g. sales figures) and natural language (e.g., emails). In this role, you will get to collaborate with various business and tech teams to design, implement, and roll out models—from classification and clustering to NLP and predictive modeling—that directly impact our members and our business operations. Train the business to access and create management reporting. We believe that creating (the right) metrics are the easiest way to increase autonomy and reduce management overhead. Assist the digital product team in the design of A/B tests to improve our website. Fast learner. We’re looking for team members who thrive on applying their knowledge, learning new technologies and don’t believe in one-size-fits-all solutions. You should be able to adapt easily to meet the rapid pace of a rapidly evolving research, development, and testing environment. The Acceleration Research and Technology (ART) group of ViaSat, Inc (NASDAQ: VSAT) is developing products that will enable the Internet to be experienced as never before. The acceleration technology we are building will enable people to flip through web pages as quickly turning pages in a book. 1. Work closely with Sr. Data Scientist to analyze structured and unstructured data, develop and apply new and existing models and algorithms, and publish well documented, reproducible work. Statistical Modeling: Develops statistical models and analyses to predict outcomes and offer potential solutions to complex business problems. Drive the mentorship and technical content of the program. Lead by example to create a fun, positive atmosphere in which Fellows will thrive. Build connections with alumni, mentors, and industry leaders to create compelling content for the data engineering program. Facilitate Fellows' self-directed learning of data science tools and techniques. Perform exploratory analysis on Moves wealth ofdataincluding consumer web and mobile behavior and North Americas most comprehensive and up-to-date listings and propertiesdataset. We are looking for a Data Engineer that will "wow" us as a seasoned Backend developer and Machine Intelligence analyst. If you have experience with Scala, AWS, Spark, Python, Postgres, Git, Airflow, and Docker we would love to hear from you! Responsible for enabling analysis, modeling, and optimization through producing information products. Involved in the research and development efforts. Primary requirement is not related to traditional programming or systems analysis skills, but to the ability to support the creation of sophisticated, value-added analytic systems that support revenue generation, risk management, operational efficiency, regulatory compliance, portfolio management, and research. These systems must overcome issues of complex data (e.g., VLDB, multi-structured, ‘big data‘, etc.) as well as deployment of advanced techniques (e.g., machine learning, text mining, statistical analysis, etc.) to deliver insights. This role often possesses a degree in hard science or another heavy quantitative business or social discipline. Able to work independently or in a team on complex projects. Kforce's client, a fast growing company in Cambridge, Massachusetts (MA) is searching for a candidate to join the critical role of Data Scientist to develop core NLP and text analytics technology that will be the foundation of upcoming products. Be an explorer: our data analysts wade through datasets large and small, internal and external, to bring order to chaos. They partner with business users / data scientists to provide insight for all types of questions. Some will take 5 minutes, others 5 months. Company Name: Point72 Asset Management, L.P. The ideal candidate has deep skills in one or more areas mentioned below, and is passionate about solving real-world problems. We are looking for those select few who thrive in a dynamic environment, have big ideas and goals, and believe in testing ideas rather than talking about them. The ideal candidate has a Bachelor’s or Master’s in Computer Science or Statistics from a top tier university, an interest in machine learning and has worked between 0-2 years in a job or internships that requires data mining / manipulation of data sets to extract timely, meaningful and impactful insights. 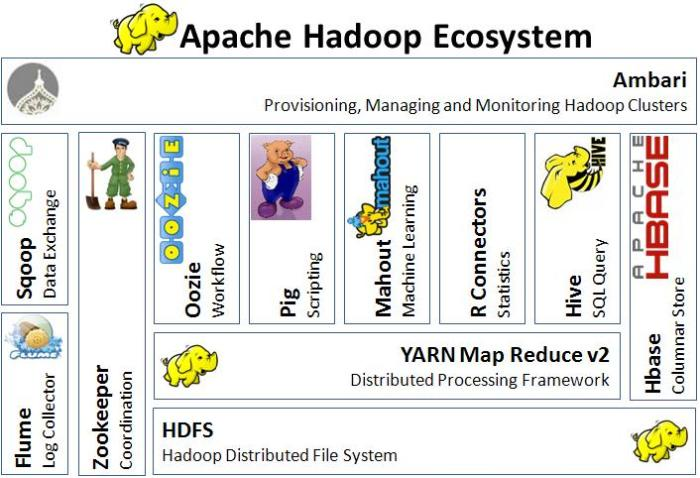 Using Hadoop and related tools (Pig, Hive, Impala) to manage the analysis of billions of customer transaction records. Writing software to clean and investigate large, messy data sets of numerical and textual data. Improve our industry-leading home valuation model using millions of real-estate transactions and complementary datasets. Rapidly prototype features and predictive models. Build ML pipelines in production. Identify, research, and analyze new data sources to improve model accuracy. Company Name: Boston Human Capital Partners, Inc.